We have a wealth of experience in the field of automotives dating back six decades ago, a period in which we have contributed to the development of technologically advanced solutions that respond to the challenges of the sector and that now faces the challenge of finding solutions in the field of digital manufacturing. We design, develop and manufacture external and internal cylindrical grinding machines, centerless grinding machines and lathes for various applications such as crankshafts, camshafts, JV Joins, gearbox shafts, shafts for diesel injection pumps or steering rack components, with strict adherence to the most stringent international approval regulations in the automotive sector. In the 60 years working for the automotive industry sector, we have developed standalone machines and complete lines for machining components always applying the latest technology. Our solutions are specially adapted to the manufacture of automotive components in compliance with international standards. Our lines for the automotive sector work fully automatically for complete manufacture of components. We optimise your production process and provide a global solution including the machine, tools, loading systems, software, etc. 10 years ago we visited VOLVO where they used DANOBAT lathes for the manufacture of components. 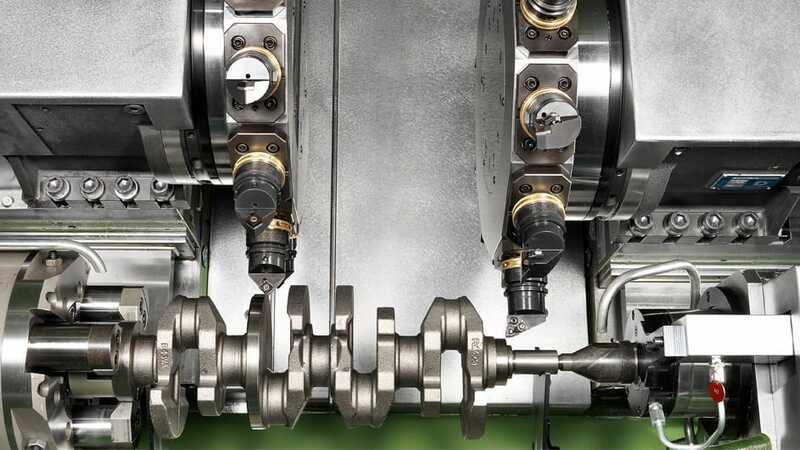 We saw some of the advantages of these lathes and thought that they would provide the perfect solutions to machine our steel crankshafts. Over the years, our parts have undergone changes in design (dimensions, shape, etc.) but DANOBAT has always been able to adapt to these changes and offer a complete and adequate solution to our products, always using the most advanced technology. Can´t find the application you are looking for? Contact us! We can do it!